Turkey - This week a delegation of diplomats and representatives of humanitarian agencies from Finland, Sweden, Luxembourg, the United States, New Zealand and France visited IOM’s operations at Turkey’s southeastern border region with Syria to assess aid delivery and needs in Turkey and northern Syria. As the crisis in Syria enters into its seventh year, nearly 11 million people have been displaced. Approximately 6.3 million people are displaced inside Syria and 85 percent of the population is living in poverty. Some 2.9 million Syrians are living in Turkey – now accounting for approximately 3.5 percent of Turkey’s population. Since 2012, IOM Turkey has provided humanitarian relief to over 1.5 million vulnerable people affected by the Syrian crisis. 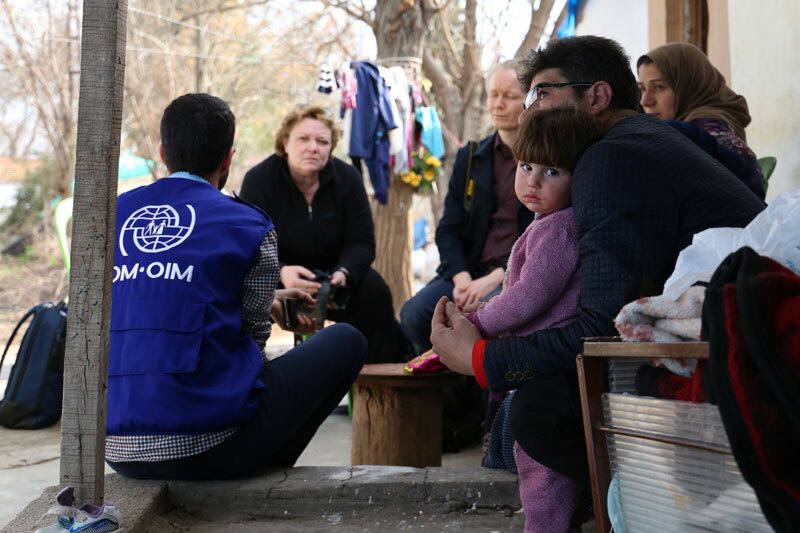 In Turkey, IOM provides direct assistance to refugees, placing particular emphasis on protection, education, provision of life-saving assistance, as well as early recovery and resilience support to displaced Syrians and host communities. IOM also continues to provide humanitarian relief to vulnerable people in northern Syria through cross-border programs. At the trans-shipment hub in Turkey, 10 km from the Syrian border, donors observed as aid trucks from Turkey unloaded core relief items onto another Syrian truck. These items were set to be delivered to nearly 1,400 vulnerable people in Syria the same day. The donors spoke with officials from local government and others at the border gate. During the donors’ visit, IOM held focus group discussions with refugee communities and visited an IOM-supported community centre, which has been providing Turkish language and vocational training to over 500 Syrians in Turkey’s Hatay province for the last six months. Representatives from Sweden, Finland, Luxembourg, New Zealand and France met with local government officials to discuss the challenges refugees face in host communities and public institutions’ capacity to meeting these needs. One District Governor near the Turkish-Syrian border emphasized the need for continued support, particularly to address basic needs of the Syrian community. “Unpredictability is the bane of the humanitarian. We need more un-earmarked and long-term funding to respond to changing priorities within our refugee response,” he added. For further information, please contact Abby Dwommoh at IOM Turkey, Tel: +90 312 454 3048, Email: MediaIOMTurkey@iom.int.